In just three weeks, three Mazda Road To Indy champions will be one step closer to the Verizon IndyCar Series as 2.3 million dollars worth of MAZDASPEED advancement scholarships are handed out at Mazda Raceway Laguna Seca on September 13th, 2015. The USF2000, Pro Mazda and Indy Lights combatants will each contest two races on the hilly 2.238 mile Monterey, California road circuit, but before heading out west, Road To Indy TV will be airing their first ever live episode on Saturday, August 22nd at 7pm (ET). 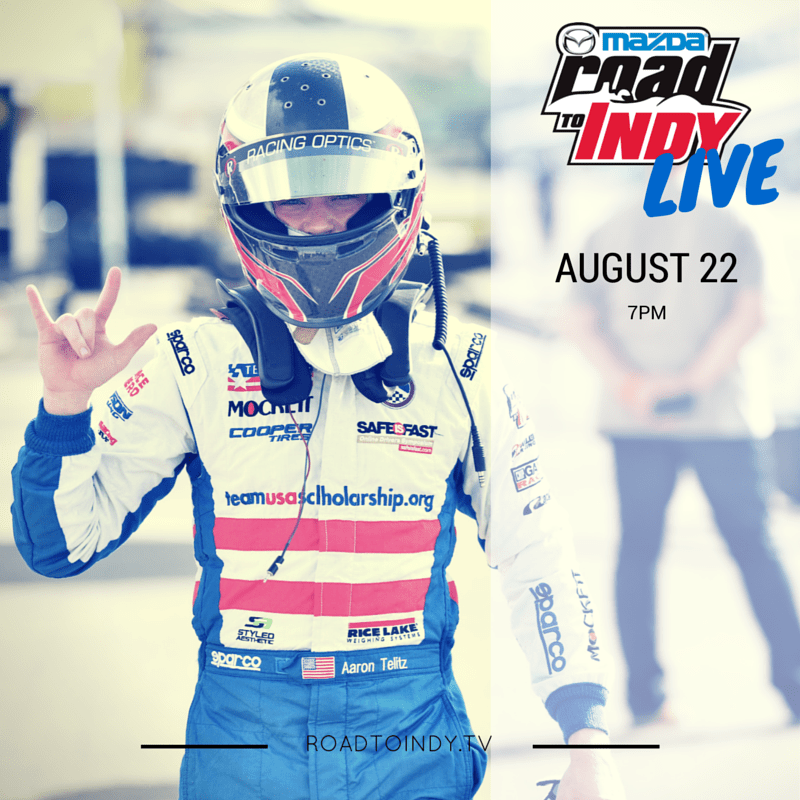 Joining the Road To Indy TV gang to review the 2015 season to date, and also look forward to preview the final round will be Dan Andersen (Andersen Promotions), RC Enerson (Indy Lights presented by Cooper Tire), Kyle Connery (Pro Mazda presented by Cooper Tire) and Aaron Telitz (Cooper Tires USF2000 powered by Mazda). You can catch this special live episode on the Road To Indy TV app – available via Android or Apple iOS.